Astronomy needs statistical methods to interpret data, but statistics is a many-faceted subject that is difficult for non-specialists to access. 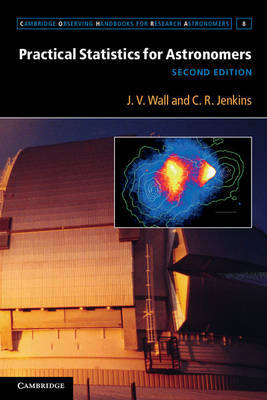 This handbook helps astronomers analyze the complex data and models of modern astronomy. This second edition has been revised to feature many more examples using Monte Carlo simulations, and now also includes Bayesian inference, Bayes factors and Markov chain Monte Carlo integration. Chapters cover basic probability, correlation analysis, hypothesis testing, Bayesian modelling, time series analysis, luminosity functions and clustering. Exercises at the end of each chapter guide readers through the techniques and tests necessary for most observational investigations. The data tables, solutions to problems, and other resources are available online at www.cambridge.org/9780521732499. Bringing together the most relevant statistical and probabilistic techniques for use in observational astronomy, this handbook is a practical manual for advanced undergraduate and graduate students and professional astronomers.